I haven’t sat in a University lecture in many, many years, but I imagine if I did today, I’d find that the Dell Inspiron Mini would be the new dictaphone around campus. It’s a cheap netbook, and the specs are decent, surely making it a winner for parents furnishing their offspring with all they’ll need to get ahead (apart from a M&S Food gift card, natch). This new Inspiron Mini 10 features a 92% size keyboard, multitouch trackpad,a 10.1-inch 16:9 widescreen display and weighs just 1.3kg. It’s apparently going to be a hit amongst “tweens, teens, travelers and social networkers”, so sadly if you’re a 40 year old accountant, you’re going to have to look for your kicks somewhere else. 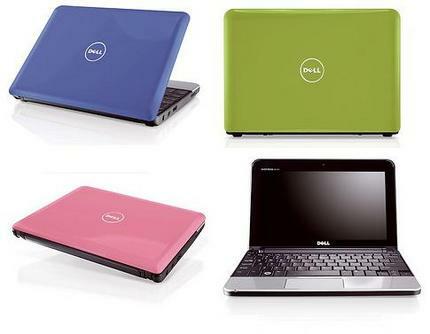 With 1GB of RAM as standard, it runs Windows XP, and you can choose from a 120GB or 160GB hard drive. Dell are also offering a free online storage service of 2GB, which can be increased to up to 100GB if you’re willing to part with some cash. It’ll be available from 26th February, with the cost of £299 including VAT and delivery. what i want to say is that it is much bettery than ipad!